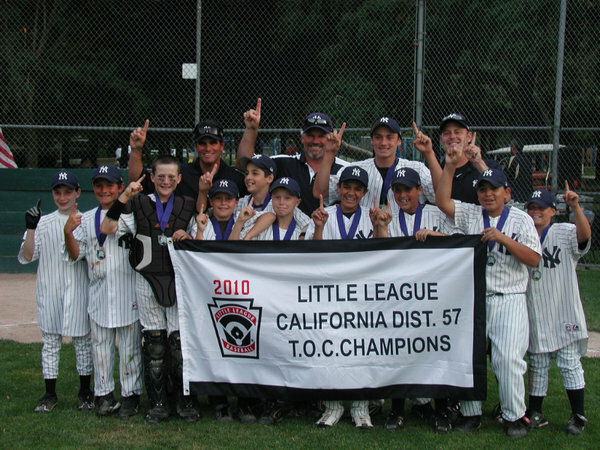 Thank you for visiting the Danville Little League Past Champions site. 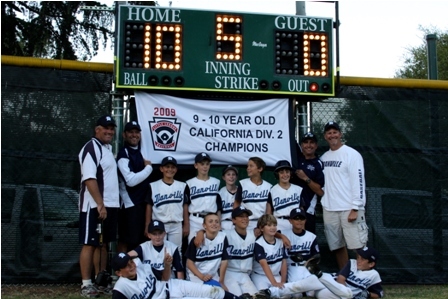 This site is dedicated to providing you with current and historical coverage of the Danville Little League District, Sectional, State, Regional and Special Post Season Tournament results in the all of the age groups. This website is a work in progress and we welcome any additional information you may have regarding DLL tournament championships from previous years. 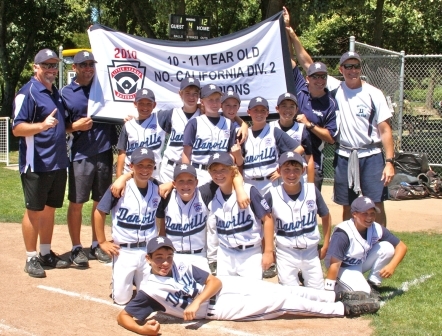 Going into the 2011 season, Danville Little League is the defending Northern California State Champion for the 11 year-old All Star team, which has won back-to-back State Championships. Given that Northern California has more little league teams than 48 out of 50 full states, the odds of pulling this off are about 140,000 to 1. Additionally, the DLL Majors Yankees are the defending champions of the District 57 Majors Tournament of Champions (TOC). 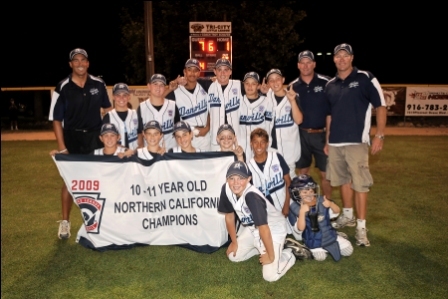 In 2009 Danville Little League teams completed a rare "double-play" by winning both the 10 year-old and 11 year-old Northern California State Championships. To the best of our knowledge, this is the only time this feat has ever been accomplished in Northern California Little League history. 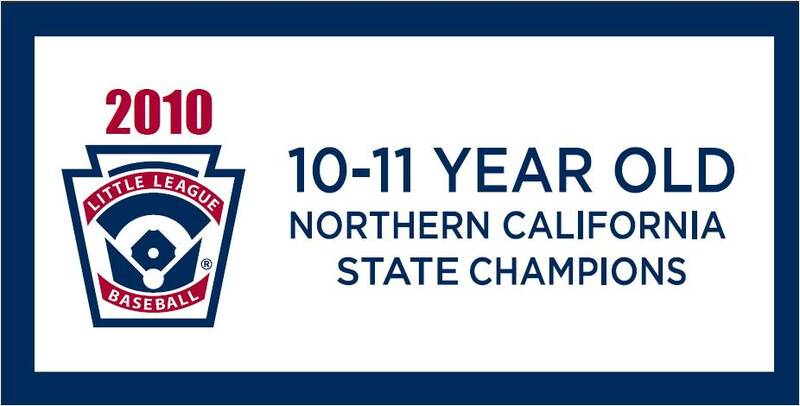 Given there are approximately 468 Little League teams competing for the NorCal State Championship, the odds of two teams from the same Little League winning the State Championship the same year would be over 219,000 to 1. 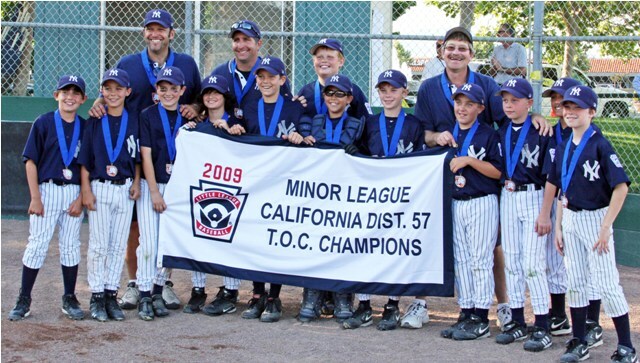 Add to that the District 57 Minors Tournament of Champions banner and DLL won 7 out of a possible 11 NorCal post-season championship banners available to the 10-12 year old All Star teams in that year.